Renato Sanches gives Bayern Munich a new dimension according to defender Mats Hummels. 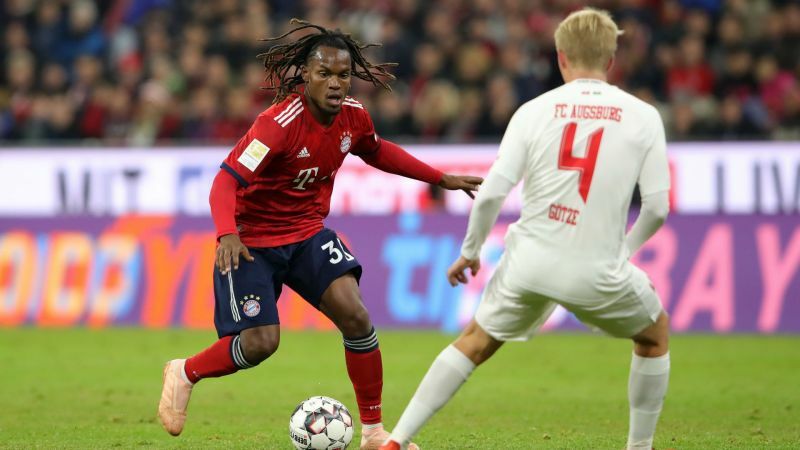 Bayern were held to a 1-1 draw by Augsburg on Tuesday, losing their 100 per cent Bundesliga record, but Portugal midfielder Sanches impressed once more. The 21-year-old struggled after joining the German champions from Benfica in 2016 and spent a fruitless and injury-ruined loan spell with Swansea City last term. But the youngster appears revitalised under new head coach Niko Kovac and produced another strong showing after scoring on his return to Benfica in the Champions League last week. “He has given himself outstanding chances with his irresistible start to the season,” Hummels told reporters after a match in which Sanches and other Bayern players were guilty of missed chances against Augsburg. “Of course, he had to score, but that happens. He has an incredible power. Sanches himself acknowledges there is room for further improvement but is buoyed by the confidence his coach and team-mates are helping to nurture. “I think I had a decent game. I felt very good. I have missed some chances and I hope it will be better in the next game because the most important thing is that we win,” he told reporters. “I feel very good and settled. It’s important that I get into a rhythm. I am a young player and I have a lot to learn. But, if I keep working hard, I’ll get the playing time.